It all begins in the year 2000 when Dr. Wiltfang establishes a center for eye laser surgery at Munich Airport. Two years later, his friend from university days Dr. Martin Bechmann, does the same in the city of Trier. Since its early days, Smile eyes stands for eye laser surgery on the highest medical level, committed to innovation and research and always engaged to provide the optimum treatment. At national and international conventions for refractive lens surgery they meet like-minded people who are committed in the same way to high quality medicine. Thus the highly experienced ophthalmologists join forces: the hour of birth of the Smile Eyes Group! 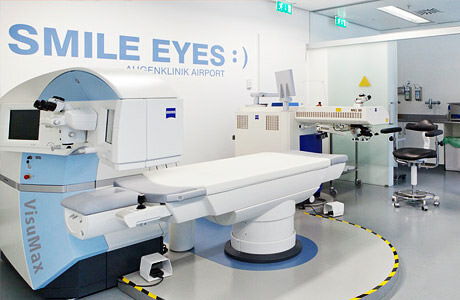 Since then Smile Eyes has been expanding and today consists of 13 eye centers with a total of more than 80 eye experts in Germany and Austria. "High quality, modern technique, competent consultation and advice for a life without glasses." 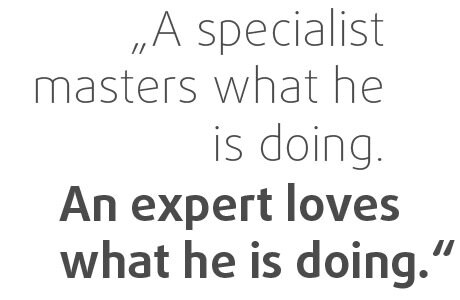 "Over 20 year of university refractive lens surgery mean professionalism, innovation and experience – e.g. by the development of the ReLEx SMILE. You can rely on that!" "We care for your eyes. Safety with laser treatment is our highest priority." "How I would treat my best friend? The same as you!" "Eyes are a highly sensitive field. 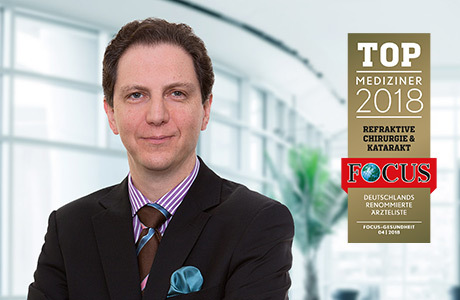 Thanks to intensive personal care we can minimize patient´s fears – confidence is crucial for the success of surgery." All Smile Eyes experts are driven by the common idea to find the optimum solution for each patient´s individual defective vision for obtaining best long-term results. 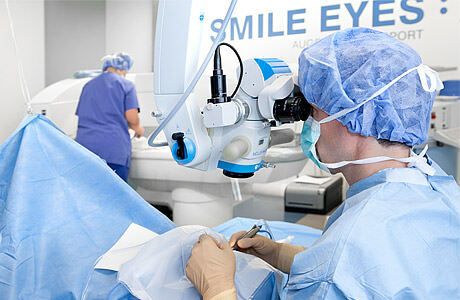 It is our biggest ambition to adjust defective vision at the same time effectively and delicately. It is our aspiration to treat each patient as we ourselves would like to be treated. Depending on the type of defective vision, Smile Eyes uses various treatments such as innovative laser treatments – for example the SMILE method, implantable contact lenses or refractive exchange of lenses with e.g. multifocal lenses. The Smile Eyes experts not only apply the most modern surgical techniques - they are significantly involved in their development. In cooperation with the Smile Eyes expert Dr. Sekundo and the University Hospital Marburg, the method of the new generation for correcting myopia, was developed: the SMILE method (Small Incision Lenticule Extraction). Together with Dr. Wiltfang, the founder of Smile Eyes and scientific director at Zeiss, we furthermore function as training center for the laser manufacturer Carl Zeiss Meditech AG. Colleagues from all over the world join the Smile Eyes center Munich to observe and learn on site the applications and the current development in the field of eye laser treatment. Apart from our expertise for laser treatments and refractory lens surgery, our Smile Eyes center offers numerous medical ophthalmological services. retinal diseases, glaucoma or Keratoconus and also esthetical corrections. We as ophthalmologists pay special attention to perfect optical results as well as to the health and functionality of your eyes.